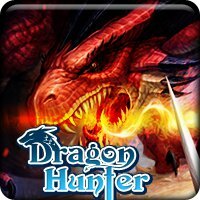 [Facebook] Dragon Hunter Hacks | Information Inc.
Hey everyone I thought i'd decide to share this game with you. Its pretty much a Maplestory rip off and its decent. Like any other facebook game it has the energy limit. Anyways here's some AoB hacks for the game. Hacks: All credits go to praetor. Don't know how to use these? Check this post to understand what's going on. nice blog design! like it! Maplestory ripoff? Well I liked Maplestory so I'll try this out. hey thats useful info man thanks! Oh no Dragon Hunter, I'll resist you. I'm not as weak as my facebook friends. I've never tried any other facebook game other than farmville and some typing game. I'll have to try this out. Sweet, I love me some good hax. Gonna pass this along to my lil bro. Glad I took the time to check this out b4 bed. @Everyone if they don't work let me know ill just update them.